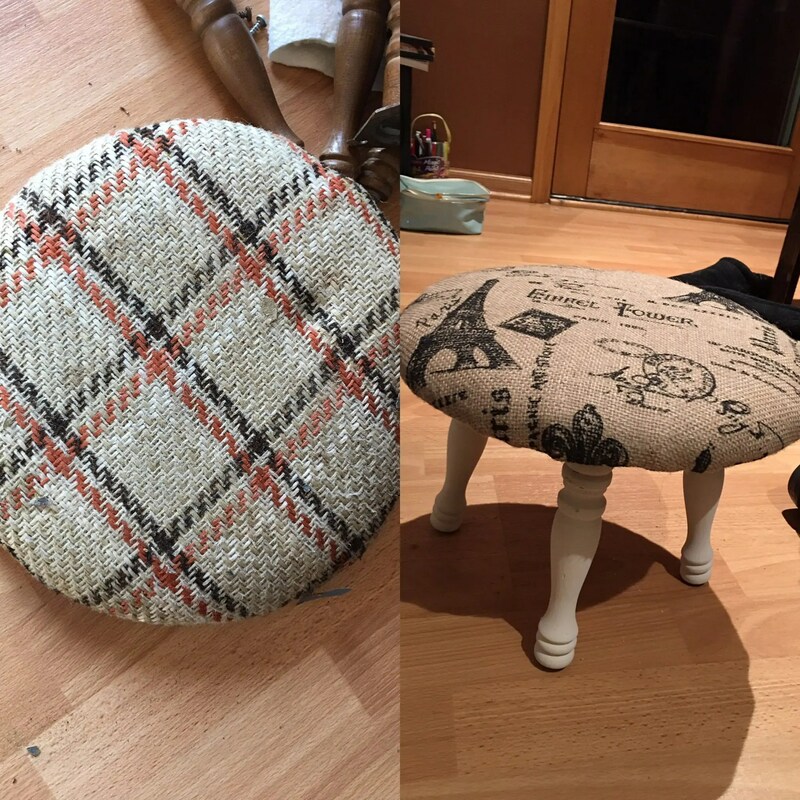 I love to redo footstools. They sell really well for me and they’re a fast flip (usually, but after the music table debacle I’m gun shy on making that declaration anymore). 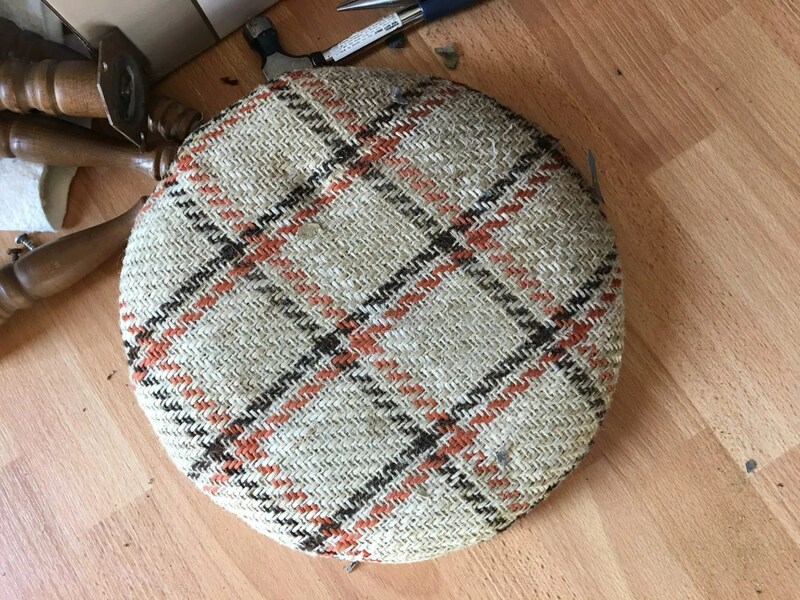 This footstool is typical of what I find when I’m out junking. 1970’s plaid with dark wood legs. You need some love! This little guy was a bit wobbly and the owner before me clearly didn’t know how to fix that. Here’s a tip, gluing the screw head may stop a screw from spinning but I won’t actually tighten the screws. Don’t do this. As you can see from all the extra holes in the wood, they tried moving the legs around a few times. 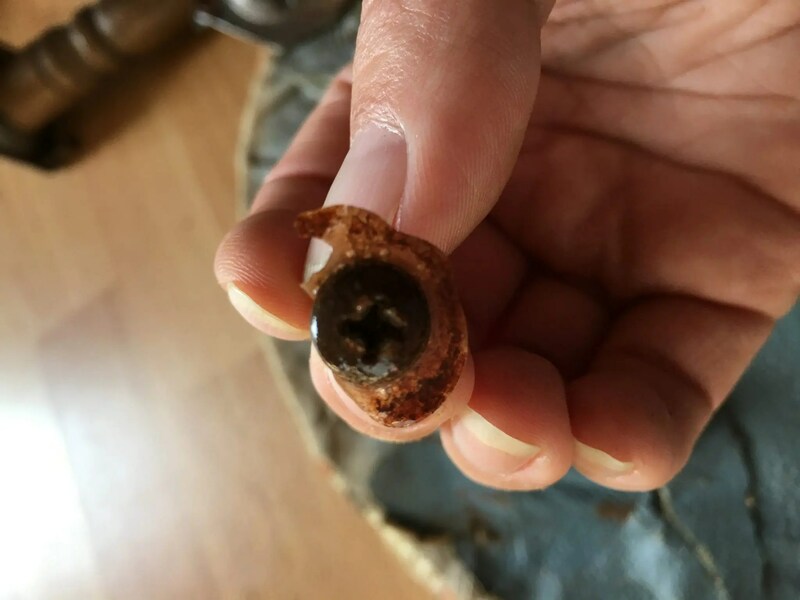 This left me with two options I could get my trusty chopsticks and wood glue out to fill the holes or I could just flip the wood circle over and use the clean surface. I opted for the clean surface. 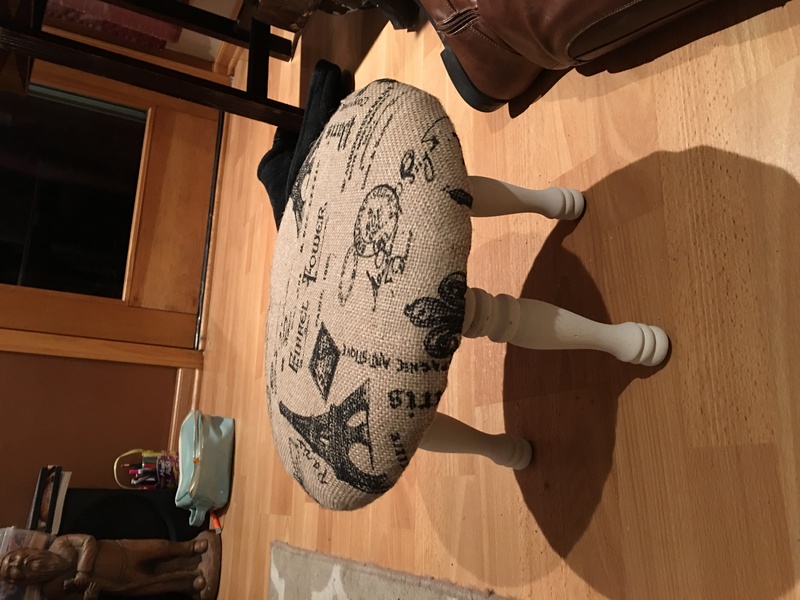 I replaced the cushion and picked the cute Paris burlap I got on clearance. 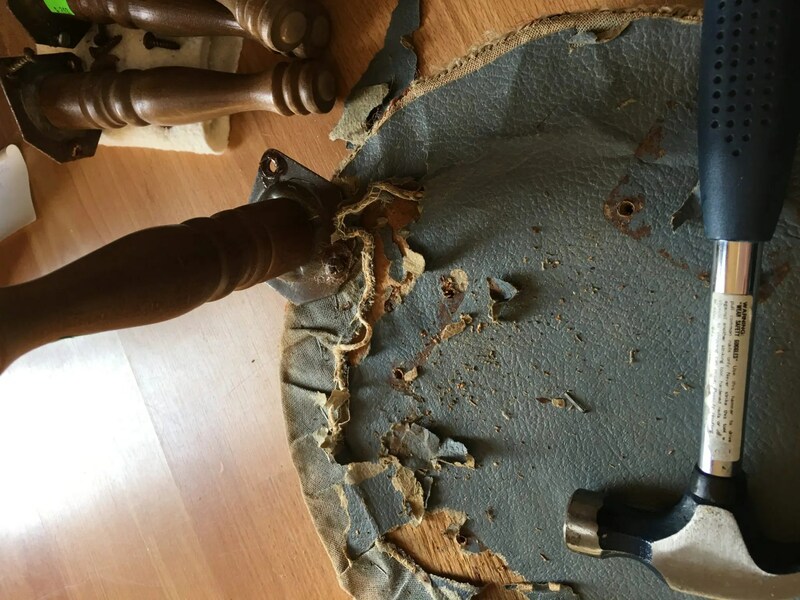 Upholstering a circle is tricky. My best advice is to pull hard and use a ton of staples. It’s the only way to keep the fabric from puckering on a circle. Now it’s updated and sturdy. It put it in LaVintage LaRee and it didn’t last long. That’s a happy flip. Christmas for Zero $$$$ Can it be done?